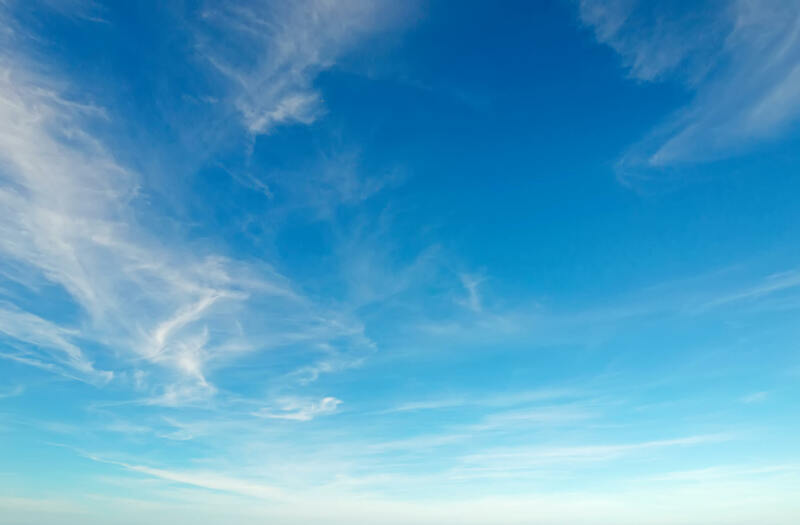 we offer a wide range of air-based shipping options. DGCI’s refueling teams offer refueling support services at commercial and other fixed facility airfields on a 24/7/365 basis. We provide competitive pricing that allows our clients to maximize their resources. DGCI teams are trained on both Joint International Group (JIG) standards and American Society for Testing and Materials (ASTM) standards. Our efforts get your flights back underway –safely and swiftly. Provided When and Where You Need it Most! 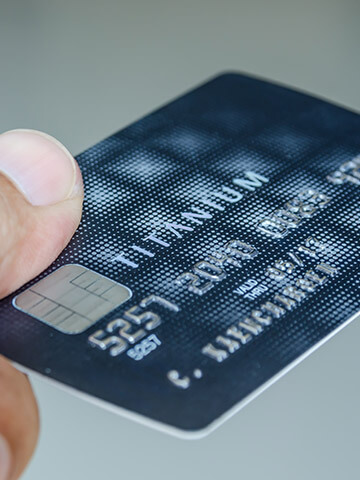 It’s important to note that these fuel management cards may also be used to purchase maintenance and other related services that Team DGCI may provide. We take on challenging missions in environments where other companies may not have the ability or willingness to operate. Our networks in the Middle East, Northern Africa, South America and Central America are proof of DGCI’s success in establishing the licensing, insurance and local support needed to meet client mission needs wherever and whenever needed. DGCI aviation support and services gowhere you go. Reduce the costs and headaches of mobilization. 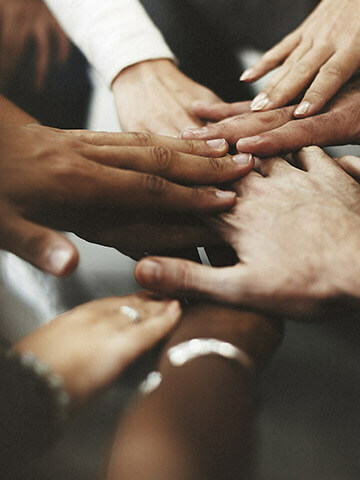 One of DGCI’s greatest strengths is our ability to rapidly mobilize contingency support staff with little notification to meet challenging client requirements. We are able to provide this level of service to our military forces because of our long experience with such operations; the background and motivation of our staff; and detailed operational plans and processes that minimize and mitigate risk. DGCI has fuels expertise where you need it. We can also quickly and efficiently re-position our assets as your mission requirements dictate. Additionally, our senior-level planners are able to create strategic level fuel management plans that span multiple continents. They are equally skilled at building out tactical fuel distribution plans. Currently, DGCI has fuel operators serving in the Middle East, Central Asia, the Horn of Africa, and the Americas. Finally, our Level A fuel testing laboratory in Afghanistan provides support to the entire region. DGCI converts high-grade commercial fuel(JetA1)to military grade(JP8)by injecting three key additives. These additives are Corrosion Inhibitor/Lubricity Improver, Static Dissipater(SDA), and Fuel Systems Icing Inhibitor(FSII). This injection process is conducted with specialized machinery that is owned and operated by DGCI. DGCI support personnel are available when your mission must launch – because being on-time and on-target is not a negotiable. That’s why DGCI professionals are prepared to respond to your mission requirements every day of the year – and every hour of the day and night. Our success depends on your success. To ensure that DGCI clients received consistent, high quality products and services, we added new fuel storage facilities and expanded our capabilities to become a DLA Energy-approved A-lab facility. In our A-lab, which adheres to quality specifications and regulatory standards (including ASTM, ISO, and IP), DGCI professionals troubleshoot, resolve trace contamination issues, and generate detailed fuel analysis reports for the Defense Logistics Agency – Energy. As part of this expansion effort, DGCI also added more transport routes and additional staff. In 2016, the DLA Energy began a contractor transition DGC International (Post, Camps & Stations contract) and Asada Logistics (Into-Plane contract).To ensure the success of that transition and the DLA Energy mission in Iraq, DGCI expended considerable resources on dedicated transport assets; In-Transit Visibility software; leased space on Iraqi Military bases; and forward-deploying collapsible fuel bladders. 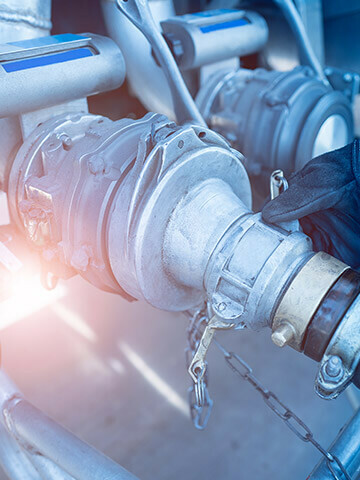 Provide all personnel with the skills, proper certifications, personnel protection equipment, and common hand tools to perform modifications, maintenance, inspections, and repair. Non-standard rotary wing aircraft play a major role in military operations around the world. However, how to obtain Maintenance, Repair, and Overhaul (MRO) services for these aircraft (including the Mi series) has been a perplexing problem for US Government agencies, and Foreign Military sales clients. To understand the importance of this expansion, one must remember that, prior to 2013, fuel earmarked for Afghanistan was often tested in Dubai or Athens. 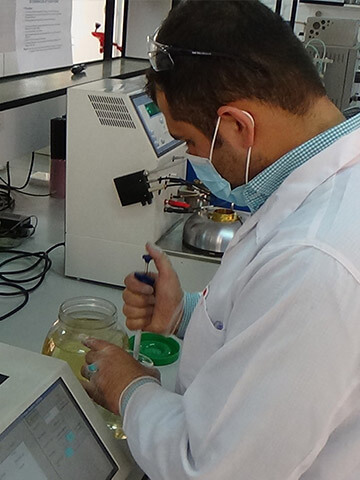 With the expansion of DGCI facilities, that vital testing could now be done in Afghanistan itself – significantly minimizing costs and delays and greatly enhancing customer service. In 2016, the DLA Energy began a contractor transition DGC International (Post, Camps & Stations contract) and Asada Logistics (Into-Plane contract). To ensure the success of that transition and the DLA Energy mission in Iraq, DGCI expended considerable resources on dedicated transport assets; In-Transit Visibility software; leased space on Iraqi Military bases; and forward-deploying collapsible fuel bladders. Additionally, we have mobilized a team of US Expats, including logisticians, fuel experts, and quality assurance SME. In October 2017, Asada Logistics (the DLA ENERGY Prime contractor for Into-Plane support at Baghdad Diplomatic Support Center) contacted DGCI for support after their previous subcontractor was unable to meet contractual obligations. Due to a number of contractual and operations challenges, no company other than DGCI was willing to make the investments necessary to ensure a smooth transition from the incumbent contractor. 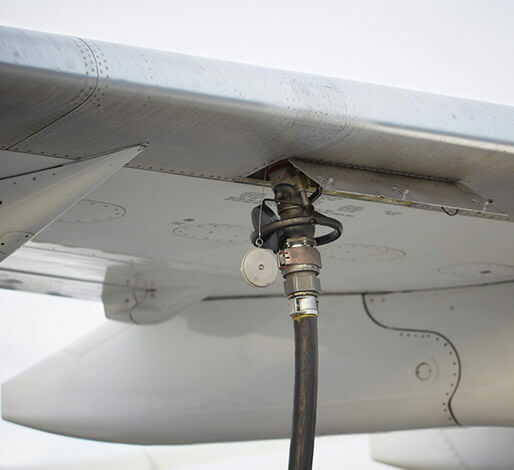 Our team of 8 professional fuels managers and operators collectively have considerably more than 100 years of collective experience in aircraft refueling operations. By the end of November 2017, DGCI refueled 497 aircraft with 206,000 gallons of JP8 and Into-Plane operations had been stabilized. Ensure that all necessary work tasks, inspections, tests, and defect correction activities are satisfactorily performed. Provide, supervise, and control all maintenance support personnel in accordance with all applicable requirements. Respond rapidly to personnel surge requirements or compressed schedules. Implement an ISO/JIG compliant Quality Management System to reduce risks during stand-up activities and/or transitions. Obtain and maintain security clearances. Establish and execute personnel security operations. Safety execute a hazardous material management program. As appropriate, obtain badges and access documentation for Government facilities used by personnel in support of depot operations. Track, monitor, manage, control, and audit depot cost, schedule and performance down to the task level. PMI Certified program and project managers. Supply-chain logistics management capability throughout the Middle East and other OCONUS locations. Demonstrated capability to provide business operations and life support in remote, austere and dangerous environments. Rotary-wing and fixed wing flight operations, mission planning, and aircrew training. Organic airlift capability to meet surge requirements and deliver personnel, material and cargo as required to Afghanistan and other OCONUS locations as required. Certified and licensed Mi-series maintenance, repair, and overhaul capabilities. Supply chain management of Mi-series rotary-wing aircraft in Afghanistan and OCONUS locations. Experience conducting MRO operations in Afghanistan for Mi-series aircraft. US Government policies to include as they relate to US Government sanctions of Russian governmental entities, companies and individuals. Afghanistan culture and operational conditions. Operating within Office of Foreign Asset Control (OFAC), US Department of the Treasury and US Department of State, International Traffic in Arms Regulations (ITARS) rules and regulations while dealing with Russian companies and organization. Boots on the ground in Afghanistan. underpinned by leading supply chain visibility. This includes the procurement of aviation fuel and ground fuels (diesel, gasoline) for transport to posts, camps and stations worldwide. We support short-notice provisioning of fuel to the warfighter for worldwide contingency operations and humanitarian relief efforts. Ourdirect delivery network is supported by automated information, fuel card and blockchain services. This allows deliveries to be tracked in real-time, and to know in advance when deliveries are taking place. We provide customized solutions for clients to ensure that fuels are delivered on-time and on spec for mission critical requirements. DGCI delivers military standard fuels globally to defense clients. To ensure that our clients receive consistent, high quality products and services, we expanded our capabilities to become a DLA Energy-approved A-lab facility. 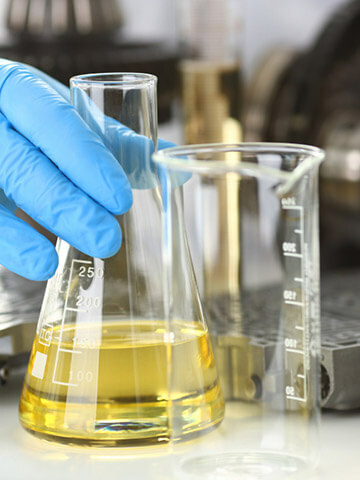 In our A-lab, which adheres to quality specifications and regulatory standards (including ASTM, ISO, and IP), DGCI professionals trouble shoot, resolve trace contamination issues, and generate detailed fuel analysis reports for the DLA – Energy. Minimizing costs and potential delays to greatly enhance customer service. DGCI manages a wide variety of goods, including mission-critical items. We offer dry storage, bulk storage, cold storage, and frozen storage in a variety of locations, and can quickly ramp up our storage capabilities based on contract needs. To support the needs of our customers, we offer short term storage, long term storage, and complete warehouse distribution services. DGCI will inventory and store the smallest spare part or the largest piece of equipment. All items are bar coded and entered into our inventory control system; clients may monitor the status of their goods at any time. DGCI manages a wide variety of goods, including mission-critical items. DGCI can build complete storage systems of collapsible containers (drums and pillow tanks) to handle potable water and fuel. The incredible flexibility of our fluid delivery system permits us to handle quantities ranging from 55 gallons to 5,000 barrels (210,000 gallons). We can service the most remote areas, under conditions of extreme temperatures; our storage solutions can withstand rugged handling. Our storage systems are double-offset coated to provide the lowest diffusion rates; they meet the CAN/CSA-B837-14 standard for collapsible fabric storage tanks (bladders). We exceed ASTM D3884 and US military specifications, which are intended to preserve fuel quality and extend equipment life and safety. Focusing on the last mile, DGCI makes rapid and secure deliveries to facilities in the world’s most austere environments. Our locally-developed, integrated transport network enables us to deliver cargo or fuel by land, sea and air. DGCI’s In-Transit Visibility (ITV) tracking of all transport asset movements and our focus on safety and reliability ensures that we arrive at the destination, on-time and within spec. Our value-added services go far beyond standard deliveries –and allow our clients to gain full visibility into product movements. DGCI provides flexible payment options to meet the needs of all fueling operations 24/7/365. It’s also important to note that these fuel management cards may also be used to purchase maintenance and other related services that Team DGCI may provide. 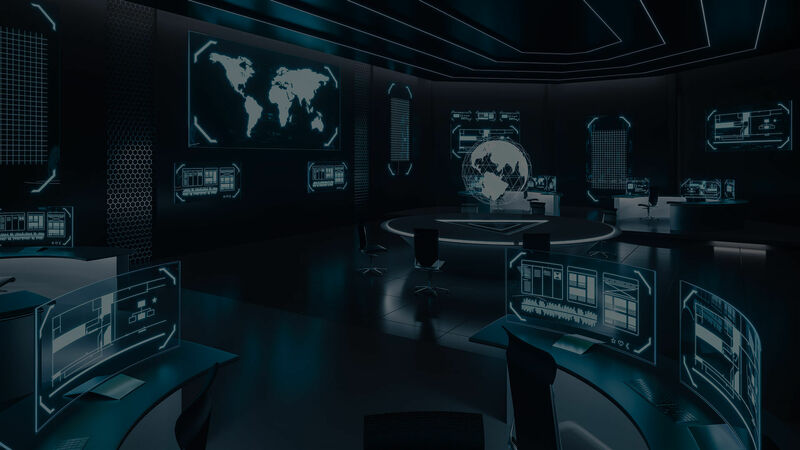 Ourscalable, rapid response fuel operations and support services can support contingency military operations and humanitarian relief missions anywhere in the world. Specifically, DGCI can deliver emergency power generation, fuel support solutions and “green” solutions that meet evolving requirements in austere and challenging environments. Our worldwide network permits our teams to quickly be on the ground and outside the wire–ready for action in support of contingency operations. We offer the critical resources needed to accomplish your mission. This includes procuring, delivering and maintaining the heavy equipment, generators, and vehicles needed for all phases of operations, including surges. We provide fuel storage solutions that enable our Government clients to accomplish their missions in the most austere environments. 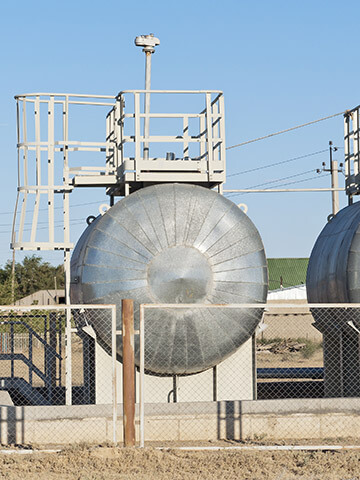 DGCI’s fuel storage facilities and partner companies in Africa, South America, the Middle East and Central Asia allow us to rapidly supply forward operating sites and flight line operations. 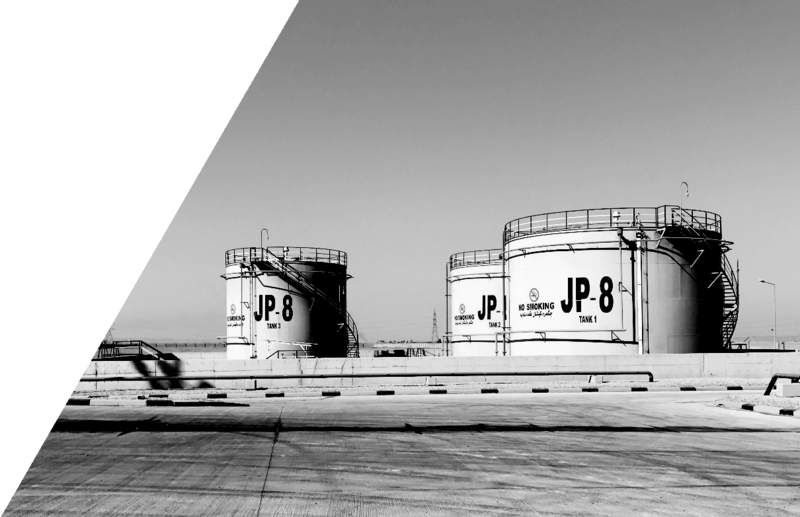 DGCI operates fuel storage facilities in some of the world’s most challenging locations. We operate several Bulk Fuel Installations with a total approximate fuel capacity of 75 million gallons. This figure includes JP8, JA1, DF2, MUM, and ULSD. 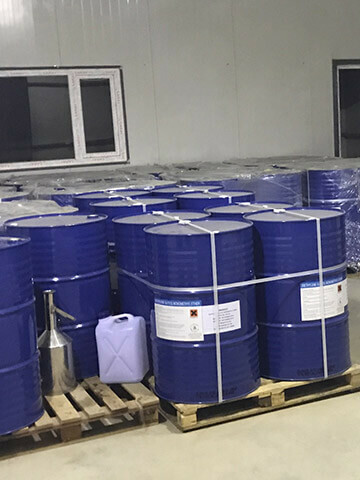 All of our products meet applicable MIL-STD and ASTM requirements; our facilities meet or exceed military requirements for this type of storage. DGCI facilities operate under an ISO 9001:2015 quality standard, JIG standards and OSHA safety standards. In addition, we undergo routine supplier and client inspections throughout the year. DGCI provides end to end bulk petroleum supply chain support worldwide. Our support includes military specification fuels (including JP8, JP5 and F76) as well as commercial products. DGCI can establish intermediary storage for hub/spoke operations, and provide direct delivery to client storage facilities. We can provide deliver by virtually any mode preferred, including tanker, barge, tank wagon, tank truck, rail or pipeline. We tailor our service to the needs of our clients to ensure effective and efficient solutions. DGC International leverages a network of strategic partners to provide optimal solutions and alternatives to our clients. Listed below is a brief description of some of the fuel types that DGCI provides –- reliably, at a competitive price, and in complete conformance with industry specifications, Quality standards and mission requirements. F18 F18 is a low lead aviation gasoline in limited use by certain NATO nations. It is also known as AVGAS 100LL. JP-4US Military Specification JP4 and NATO Fuel Code F40 are the same specification. They are the military equivalent of Jet B with the addition of corrosion inhibitor and anti-icing additives. JP-4 meets the requirements of the U.S. Military Specification MIL-PRF-5624S Grade JP-4. The UK Military specification for this grade is DEF STAN 91-88 AVTAG/FSII(formerly DERD 2454) where FSII stands for Fuel Systems Icing Inhibitor. JP-8/F34 US Military Specification JP8 and NATO Fuel Code F34 are the same specification. 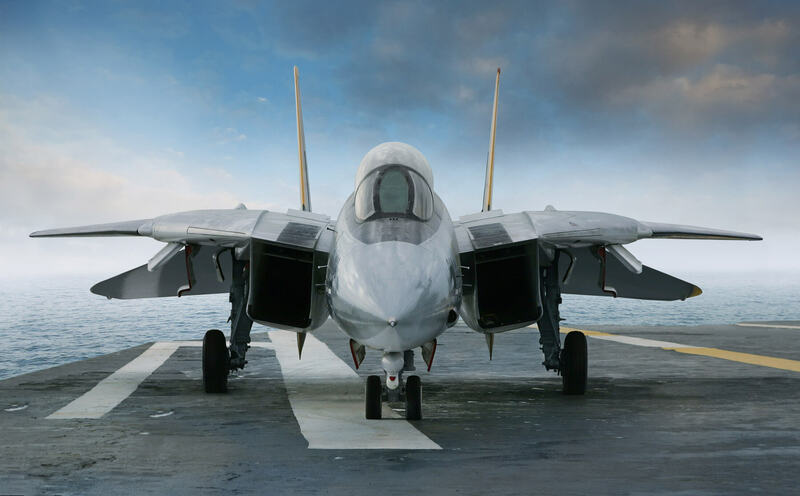 They are the military equivalent of Jet A-1 with the addition of corrosion inhibitor and anti-icing additives. JP-8 meets the requirements of the U.S. Military Specification MIL-T-83188D. It is the dominant military jet fuel grade for NATO airforces. The UK also has a specification for this grade –DEF STAN91-87 AVTUR/FSII(formerly DERD 2453). F35 F35 is a military kerosene type aviation turbine fuel equivalent to that used by most civil operators of gas turbine engine aircraft. It is also known as JET A-1 or AVTUR. Therefore, F-34 = F-35 + Additives. JP-5/F44 US Military Specification JP5 and NATO Fuel Code F44 are the same specification. JP-5 is a high flash point kerosene meeting the requirements of the U.S. Military Specification MIL-PRF-5624S Grade JP-5. The UK Military specification for this grade is DEF STAN 91-86 AVCAT/FSII(formerly DERD 2452). This jet fuel is primarily intended for use in aircraft carriers. JPTS JPTS stands for Jet Propellant Thermally Stable. It is a high thermal stability, high altitude fuel that is specifically designed for United States high altitude reconnaissance aircraft. It is a specialty fuel that is produced by only two oil refineries in the United States. JPTS has a flash point of 43 C (110 F) and a freezing point of -53 C or -64F. Its flammability limits are 1% and 6%. JPTS has an appearance of a water-white clear liquid with specific gravity of 0.816. It is insoluble in water. It is composed of a complex mixture of petroleum hydrocarbons. DF2/F54 US Military Specification DF2 and NATO Fuel Code F54 are the same specification. It is a military fuel used in compression ignition engines in NATO Europe areas outside Denmark, Greece, Italy, Portugal, Spain and the United Kingdom. It has a Pour Point specification of 18oC maximum. F76 F76 is a naval fuel used in compression ignition engines and in naval gas turbines and ships' boilers for steam raising. It is also known as FUEL, NAVAL DISTILLATE, low pour point. In support of the International Security Assistance Force Afghanistan, DGCI procured and distributed the fuels, oils, and lubricants needed to maintain warfighting equipment.Our services included procurement; shipping products to Dubai warehousing; re-organization and re-packaging; air freight, customs clearance; and intra-FOB transport in Afghanistan. Because it was necessary to procure these products from many different countries, DGCI drew heavily on its well-developed global supply chain networks and robust vendor management experience. 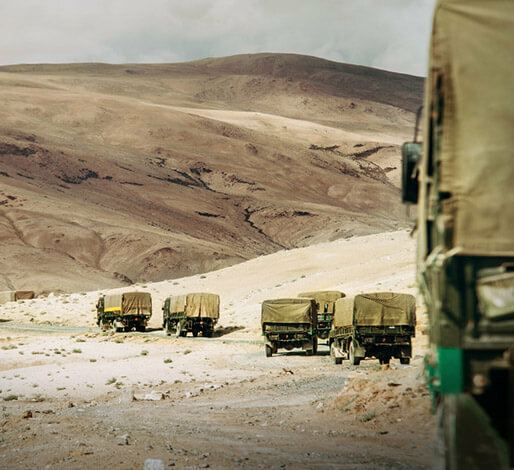 While most of our products were sourced from US and UK corporations (including Shell and Exxon Mobil), we expanded our supply chain base as necessary to meet the unique needs of equipment used in Afghanistan (some of which is Russian-made.) 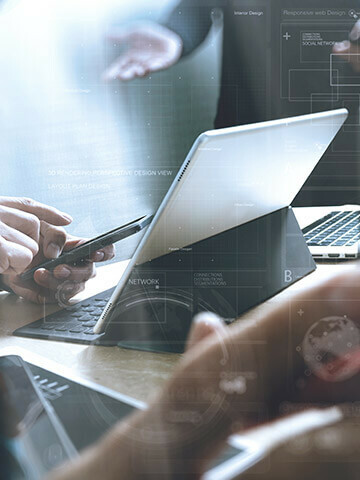 To ensure accountability for critical products and equipment, DGCI installed the Mobility Inventory, Control Accountability System (MICAS) off-the-shelf software. We also used daily briefings and SITREP reports to ensure that goods were delivered on time. DGCI knows that frequent and effective client communications are vital to successful business relationships. Therefore, when our first management team deployed to Kabul, DGCI immediately began organizing and implementing a tailored client communication plan. Akey component of this plan was establishing a direct line of communications with DLA Energy and all of the Forward Operating Bases to be serviced. This would help ensure that the FOB requirements could be met without delay. 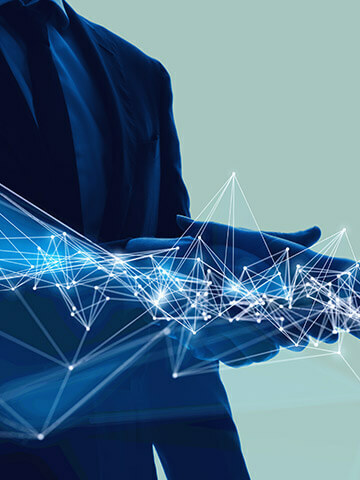 All relevant parties were provided with the contract particulars, and informed that managers would be available 24 hours a day, 7 days a week to address issues and requests.These open lines of communication have been instrumental in resolving significant problems at the Forward Operating Bases. For example, DGCI was once contacted by an FOB that urgently needed a fuel delivery to execute an operation. This “heads up” allowed us to begin working the issue while the FOB Fuel Manager forwarded the request through channels to DLA Energy. DGCI was thus able to start loading as soon as we received authorization from DLA. We estimate that we were able to deliver the fuel 8 hours faster than if our first notification had come from DLA. It’s also important to note that heads up warnings can be critical due to scheduling constraints. 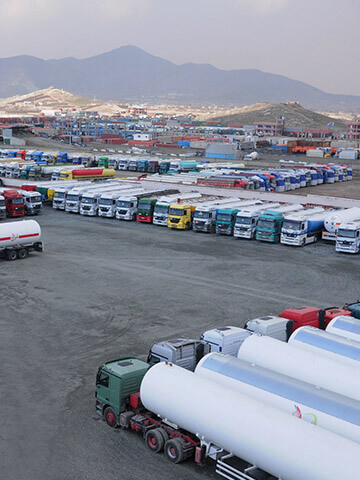 Transportation of fuel to Forward Operating Bases is subject to Afghanistan National Police rules that can allow trucks to travel only at set times of the day or night. To ensure that DGCI can make urgent deliveries in the shortest possible time frame, we need “heads up” warnings as soon as possible. 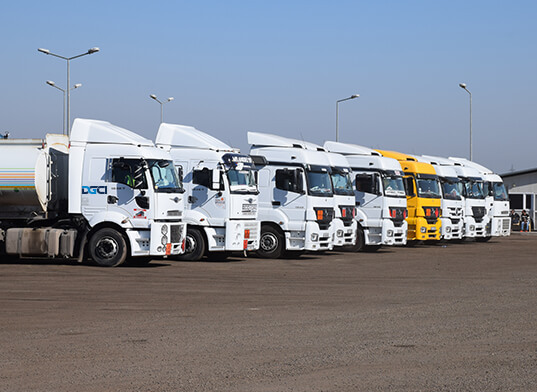 DGCI also uses client communication lines to ensure that we can meet requirements such as specific delivery times dictated by FOB security personnel or truck size limitations. (40 foot trucks may not be permitted at some FOBs). Due to operational circumstances, these access requirements have changed with very little notice. However, because we communicated efficiently and effectively with the client, we were still able to deliver on time. As part of our support to Operation Inherent Resolve forces, DGCI has established forward deployed fuel storage assets across Iraq. These massive fuel bladders provide expeditionary and remote storage capabilities that are hundreds of miles away from traditional commercial fuel storage sites. In partnership with the Iraqi Air Force, DGCI has built out military grade bulk fuel farm facilities. These facilities include storage for more than 2 million gallons of JP8 fuel; additive injection capability; life support; fuel testing and quality assurance support; truck yards and maintenance bays; and operation control rooms. 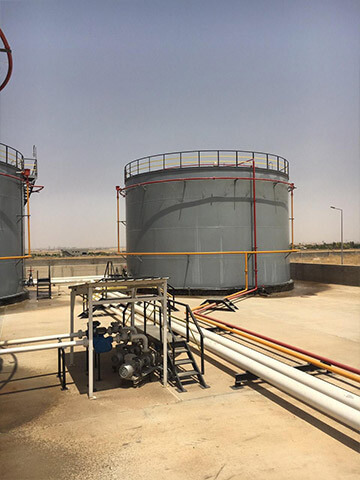 These facilities are co-located with Iraqi and US military sites; this helps to reduce the supply chain risks associated with border closings, road closings, and refinery constraints. In late 2015, the Islamic State in Iraq and Syria (ISIS) swept across Northern Iraq –- and local Kurdish Peshmerga fighters were the last line of defense for millions of Iraqi citizens. Working with our counterparts and coalition partners, DGCI helped develop a supply chain system to support the Kurdish Peshmerga. 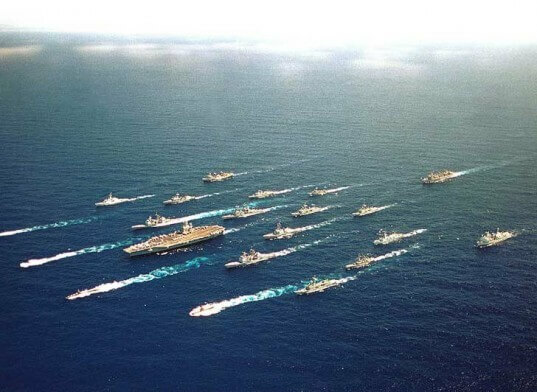 Central to this chain was a reliable energy plan that ensured fighting units had the high-quality fuels needed for use in military grade equipment. Our transport plans, asset allocations, and delivery methods were heavily impacted by the humanitarian crisis and influx of refugees from Mosul. Despite the adverse and highly unstable environment, DGCI ensured that even small outposts and humanitarian camps received the energy support they needed. The presence or absence of unions. Ebbs and flows of contractual requirements, including stand up, surge periods, and ramp downs. The physical location of the warehouse. Specific needs or wishes of our clients, based on their mission requirements. Secure Storage When the contract calls for the segregation of cargo, DGCI provides a caged security are. Our Facility Security Officer ensures that sensitive or dangerous goods are handled properly. 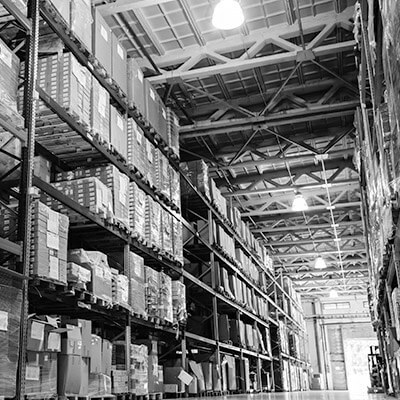 Our warehouses are equipped with 24/7 security measures, including real time video/audio monitoring. to optimize flows and centralize freight. With innovations such as individualized container tracking and geo-located ship status, DGCI offers port-to-port supply chain logistics – managing requirements from vessel owners, ship agents, clearing agents, and others. Stevedoring is another critical service that DGCI provides. Our dynamic team of well trained, experienced dockworkers can help load and discharge a wide range of cargo. DGCI supplies bunker grade fuelsin conformance with established standards such as IFO 380 cSt, IFO 180 cSt, MGO,and MDO. All bunker fuels supplied by DGCIare also in full conformance with ISO 8217:2005 and ISO 8217:2010 specifications. Additionally, DGCI can meet specific requirements for qualityintermediategrades. Finally, due to our extensive trading network, we can offer competitive Fixed Price Agreements (FPA) to lockin bunker prices. 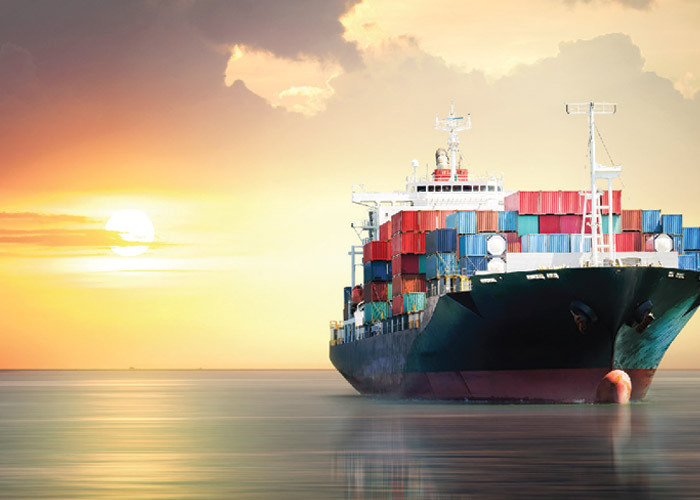 We deliver high-quality marine fuel, lubricants, and specialty products. Wherever you are in the world, DGCI can offer you the best synthetic and petroleum-based oils and lubricants, on-time and on-spec. We collaborate closely with our clients to ensure that our extensive global network delivers customized solutions for specific requirements. DGCI continuously adapts our processes and procedures to respond to changes in the maritime operational environment. As part of our ISO 9001:2015 certified Quality processes, we frequently review our internal procedures to ensure that our clients receive attractive and cost-competitive offers. DGCI is constantly driven to cost-optimize our supply chain. Team DGCI regularly supplies fuel to Afghanistan using a Caspian Sea route as part of the supply chain. The decision is partly based on geography and politics – this sea route is safer and more stable than some of the land-based alternatives. It is also based in a desire to cost-optimize the supply chain – a comparable land route would take longer, and be more expensive. Finally, it relates to convenience and reduced labor levels – the sea shipping option requires less paperwork than the land shipping option (which would cross strategic borders and possibly involve bottlenecks or slow downs.) These supplies are mission critical fuel; this typically includes EN590 diesel, EN228 gasoline, and JA1 aviation fuel. 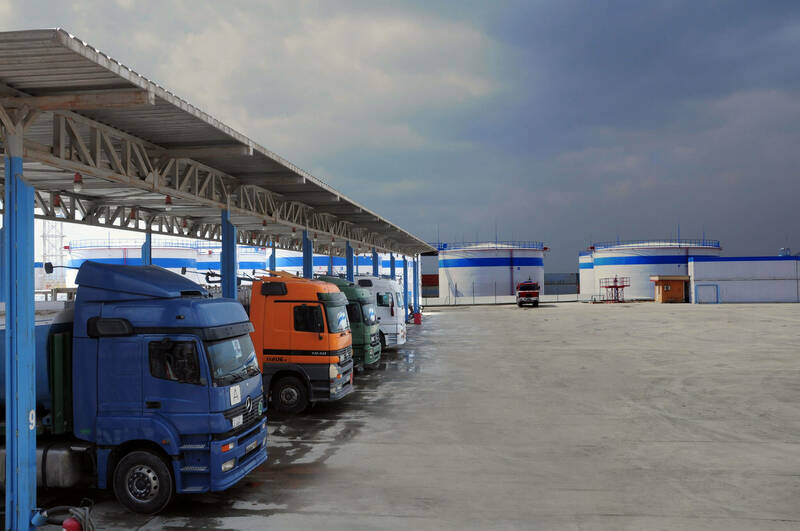 The fuel has a long journey by different forms of transportation, including train to Azerbaijan, ship to Turkmenistan, and fuel truck to the final destinations. In this part of the world, DGCI pays a shipping premium in addition to the origin market price to ensure that these critical supplies get to the warfighter on time. In support of the Shahbaz Air Base Pakistan Security Upgrade project, DGCI has contracted with EFCO to produce and ship by sea large, heavy materials needed to construct perimeter walls and patrol roads, and facilitate the installation of new perimeter lighting. To ensure that these items met exacting industry and Quality standards, DGCI decided to procure these items in the United States. We decided to ship via sea as it was by far the most cost effective option. Additionally, the delivery time-frames of the contract were generous enough that shipping by sea would still allow us to deliver on time. The shipment will weigh 76,479 pounds and consist of 3,276 parts; the entire inventory will be under strict configuration control from its departure point (Des Moines, Iowa) to the final destination (Jacobabad, Pakistan.) The material will be placed on skids and loaded into two standard 40’ containers. Bridge cranes and forklifts will be used to load and unload these loads. The packaging will consist of 1 ¼” steel banding, IPPC skids, bracing lumber, triple wall card board crates, and air bags. Sea transit time from the San Pedro Port to the Port of Karachi will be about 45-60 days. The items will be placed into temporary storage at the Port of Karachi until the items are needed at Jacobabad. The materials will then be loaded on a tractor-trailer for final delivery.